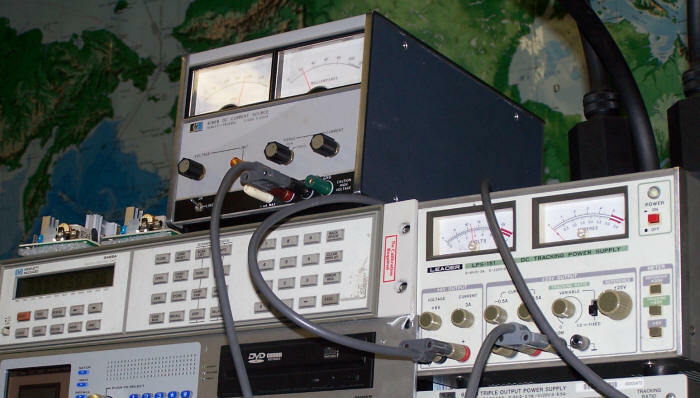 Device with meters on top: High voltage power supply used to charge the "Prius Simulator" battery pack. 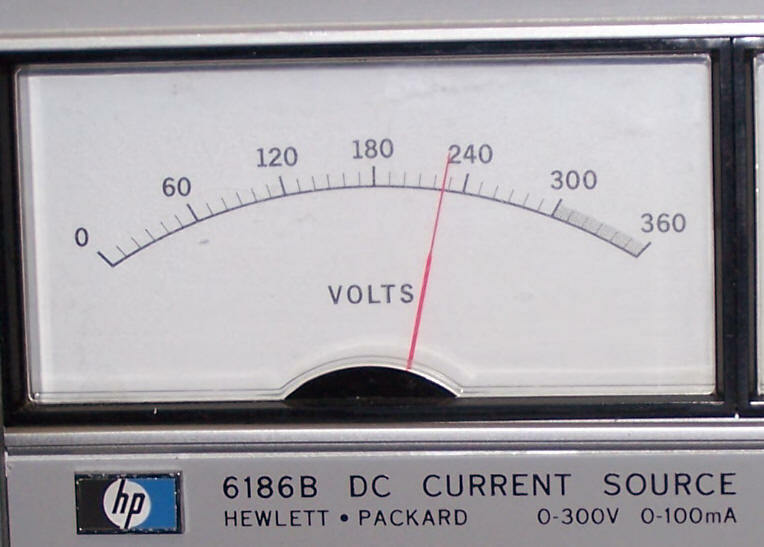 Device with meters on right: Low voltage power supply used initially to operate the relays in the dummy load, and later to charge the 6V battery that performs the same function on the test cart. Device under the HV supply: The "switch box" that actually controls the relays on the dummy load, and also switches the digital multimeter to monitor voltages at various points.